With firm commitment to quality, we are engaged in manufacturing and supplying a broad array of Packaging Unit & Plants. Under this array, we offer HCl Gas Generation Unit (Azeotropic Boiling Route), Sulphuric Acid Route and Sulphuric Acid Dilution Plant. We manufacture the offered products by taking aid of sophisticated technology and excellent quality components to ensure these are able to stand tall on the expectations of patrons. Moreover, while carrying out the manufacturing process of offered units, we follow globally laid quality norms. 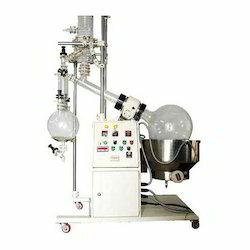 We offer our clients Rotary Evaporator, which is highly efficient and deliver optimum performance. These evaporators are manufactured using superior quality components and cutting-edge technology. 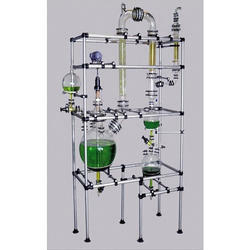 Evaporators offered by us are specially designed for high boiling solvents. Renowned for their high functionality and dimensional accuracy, these evaporators find extensive application in the following operations. 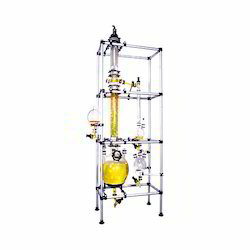 Ranging from 1 liter up to 50 liter enables finding an appropriate size of distillation performance from the lab up to the production plant. The broad temperature of this evaporator range from +20¡æ c to +180¡æ c and opens up myriad of applications. 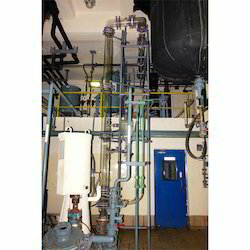 It's modular design allows fully adaptation of the the evaporator to client's specific needs. 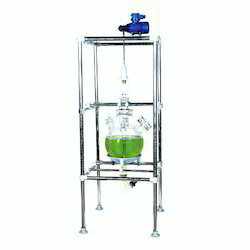 Gall Assemblies Glass Reactors are ideally used for wide applications in laboratory, pilot plant and for small-scale production. They reduce the need for investments in permanent installations & also reduce the pressure & temperature losses resulting from pipeline installation. These reactor are available with spherical shape & in cylindrical shape. These reactors are also available in cylindrical jacketed form. Above systems are available with different options, depending upon their size & their utility. Our Technical Department will glad to assist you in finding a suitable solution for your process requirement. Two types of Packing Supports Type A or Type B. Type A are made of fused glass rods and Type B (heavy duty) are made of glass plates vertically arranged and tied with PTFE tie rods. Standard packing supports for columns DN 80 to DN 300 are manufactured from borosilicate glass. From DN 400 and above, a combination of glass and PTFE is used for their construction, thus maintaining maximum resistance to corrosion. DN L Maximum Load (Kg) Maximum Packing Size (mm) Type Cat. Ref. The overall heat transfer co-efficient of Borosilicate glass equipment compare favorably with many alternative materials because of its smooth surface which improve the film coefficient and reduce the tendency of fouling. 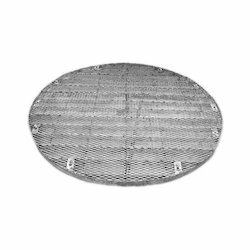 Heat exchangers are available in two basic types: Coil Type and Shell & Tube Type. Shell & Tube heat exchangers offer large surface area in combination with efficient heat transfer and compactness. 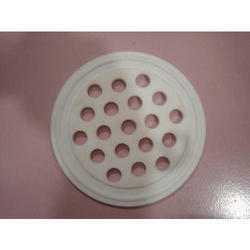 Over GLR Assembly is widely used in industries for various duties like cooling, heating, condensation, evaporation etc.